Willie Thorne is one of snooker’s most recognisable characters. A former World Seniors Snooker Champion, Willie’s playing career featured many tournament victories around the world. One of his biggest wins was the 1985 Classic where he beat his friend Cliff Thorburn. He also reached the UK Championship final in 1985, only to lose against Steve Davis. Willie Thorne aka ‘The Great WT‘, was a regular in the Top 16 World Ranking players for over 10 years. Furthermore, Willie is the World Record holder of the highest number of 147 breaks in the history of snooker (190) earning him the nickname ‘Mr Maximum‘. Thorne has established himself as one of the great characters of the game for over three decades. A TV regular, Willie has appeared on many shows including Strictly Come Dancing, Through the Keyhole, A Question of Sport, Sport Relief, Celebrity Antiques Road Trip and many more. Willie also hosted 16 shows for Sky TV called Cue Masters. Willie is now a commentator for major snooker tournaments, having broadcast on Sky, ITV and BBC. Along with such legends as John Parrot, Steve Davis and Dennis Taylor, Willie Thorne is one of snooker’s best known faces. Combined with his instantly recognisable features, Willie is one of the UK’s leading after dinner speakers, auctioneers and MC’s. 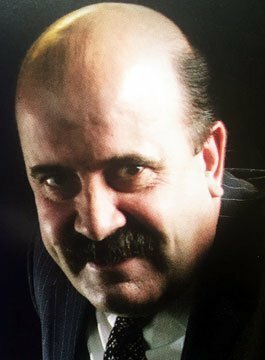 After Dinner speaker Willie Thorne is a must for any event, such as sportsmans’ dinners, golf days and snooker exhibitions.